Many procedures can be conducted via laser spine surgery or minimally invasive spine surgery. However, a formal diagnosis and treatment options cannot be given until the patient has been seen in person. The potential patient’s films are reviewed by a board-certified or board-eligible neurosurgeon. The neurosurgeon will then personally call, answer questions, and discuss possible treatment options - including non-surgical options – based upon a preliminary interpretation of the MRI. At BNA we do not have a technician, assistant or other non-surgeon/non US-credentialed surgeon review patient films over the phone with the patient. 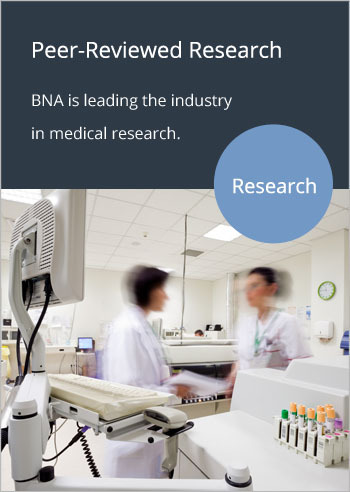 BNA surgeons strive to provide the most personalized, least invasive and highest-quality care to all patients whether through operative or non-operative treatment modalities. Patients suffering from spine-related conditions and injuries such as arthritis, failed back surgery syndrome and spinal stenosis can be relieved from pain using state-of-the-art, technologically advanced, minimally invasive, endoscopic procedures performed by a BNA surgeon. Please Fed-Ex/UPS/USPS a CD with your DICOM MRI images and report (and X-rays if you have them) to the attention of Sarah Heil. Use a tracking number and request a signature to ensure they arrive as scheduled. Please include your phone number and mailing address, a brief one paragraph description of your symptoms and any questions you would like the surgeon to address. Once your package has arrived in our office, please call Sarah at 303.938.5700, or by emailing info@bnasurg.com and state your films have arrived for MRI review. Your films must be sent to the attention of Sarah in order to be processed correctly and expediently. Once we have your films and report, description of symptoms, phone number and mailing address a surgeon will strive to call you within 3 to 4 business days to discuss your concerns, needs and options. Please provide a phone number you are likely to answer at all times, as it is not possible to pre-determine when a surgeon will call you due to clinic and emergency cases. You will be called a maximum of three times before your request is disqualified. If surgery is recommended and you choose not to schedule an office visit your films can be returned to an address specified by you via Fed-Ex, COD, upon your request. All recommendations made prior to the in-person visit are preliminary only and subject to confirmation or change based upon in-person evaluation. BNA is not responsible for any costs incurred by a potential patient who, after in-person consultation, is determined for any reason not to be a candidate for further treatment from BNA, or who declines such treatment for any reason. You may call Boulder Travel Agency at 303.443.0380 to arrange your flight and transportation. You may also visit contact us for a complete lodging guide. All patients are evaluated in-person before treatment is provided because medical conditions are unique to each individual. While the goal of BNA is to minimize the out-of-area time for patients, there are certain circumstances that may arise which necessitate a prolonged or more extensive preoperative work-up, such as for potential cardiac clearance. Preoperative work-up, patient informed consent, and patient follow-up will vary for each patient and each surgery and prospective patients should be prepared for a possibility that they may not be able to return home as quickly as they would like. Some surgeries require follow-up serial X-rays and in-person evaluations for up to two years or more, such as for spinal fusions or tumor removal. In addition, the patient may require much more than outpatient surgical intervention. These potential issues are beyond our control and may not be evident from the preliminary MRI review. BNA reserves the right to decline to providing treatment based a telephone consultation or in-person evaluation, and cannot guaranty that a patient’s treatment will be completed within a specified time frame, regardless of the surgeon’s preliminary interpretation of the MRI. BNA is not responsible for any additional costs incurred due to a stay that exceeds the initially expected stay. BNA surgeons are specifically reviewing your case with regards to brain and spinal issues and NOT other organs, tissues or potentially related or unrelated problems. They are NOT radiologists and you are strongly advised to have your films formally read by a radiologist and for you to review that information and act on it accordingly. If we have a radiology report available to us, we will review that information, however, we are not responsible for issues that were or were not identified by a radiologist.